For the majority holidaymakers the holiday is a very special occasion. It’s not necessary your holiday is going to be ultra perfect, but something near that, is very wishful. How can you do this? We know this is probably going to be an ¨Ahaaaa-moment¨. The only thing you need to do is, be on time with arranging your holiday and know your possibilities in the site. 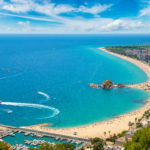 This all gives you the opportunity to have a great holiday AND you can already start as soon as possible with your pre holiday mood, without any stress. Roses (in Spanish Rosas) is a very special famous, though, authentic village. It had 1 of the 1st fishing ports on the north Catalan coast. There have been writing books and many webpages about Roses. To help you on your way, we give you the first 10 various things you can do during your stay in Roses. At the 80m long beach with fine sand regularly a great wind is spotted, as the story goes from several well-known schools for windsurfing and kite surfing. Meteorological messages confirm this with the best windy moment of 22 to 46km/h. This makes Roses even more popular. Especially during winter season, when the waves go even up to a height of 2m! 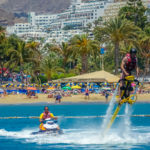 You can imagine that when you’re a water lover or a wave freak this as a dream coming true.A positive thing about the huge fine sandy bay of Roses is also very attractive for a lot of couples and families with children. The beach goes slightly into the water and the is side onshore. So, there’s no danger to drift to open sea. Roses is full of tourist attractions and cultural sites. Of course the water sport facilities can’t be missed, like the catamaran, sailing ships, kayak, diving, windsurf, rowing and kite surf. 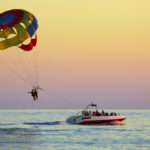 The same as the popular ride on the banana-donut and a lift in the air with parasailing. 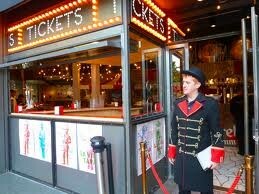 El Bulli is a very well-known restaurant in Roses of a very famous chef cook, Ferran Adrià. Unfortunately, since July 2011, you can’t enjoy Ferran’s cuisine specialties in El Bulli. But the world famous place itself and Roses are worth a visit. In the meantime we don’t want you to be empty handed. You can taste something of Ferran’s culinary ideas in Barcelona. Foodies who already had a marvelous diner in Tickets say you’ve got to book at least 2 months ahead on the website of Tickets. That must say something about the popularity and the fact that it’s a must-have-been culinary adventure. With the Costa Brava as source of inspiration, the large water park Aquabrava in Roses has been created. Lots of crazy slides, waterfalls, the world wide known crazy rivers and more are waiting for you in Roses! It’s a day full of water fun for all ages, as the kids (under 120cm) have their own paradise in ‘Tropic Island’ and ‘Kids Lagoon’. Some handy tips from holidaymakers is always a welcome bonus. Prevent dissapointments, because it’s not allowed to bring your own food and drinks. We hear you thinking “But what if they don’t check the bags?”. Well they normally do. Nevertheless, it’s definitely worth the entrance price to spend a day in Aquabrava and the entrence price is in line of other European water parks. By the way, keep your eyes on the clock when you intend to enter the park in the afternoon. As there’s a price reduction for entering in the afternoon. This impressive tourist attraction shows historical-artistic complex and vestiges of various periods. The military fortification La Ciutadella definitely attracts your attention. The historical fortress shows many archaeological discoveries from the Greek city of Rhode. Or for example, the Romanesque monastery. A unique exhibition you’ll find in the museum El Museu de la Ciutadella de Roses. Here you’ll see remains of different professions from the past 13 centuries. Does a walk in nature make you happy? Yes? 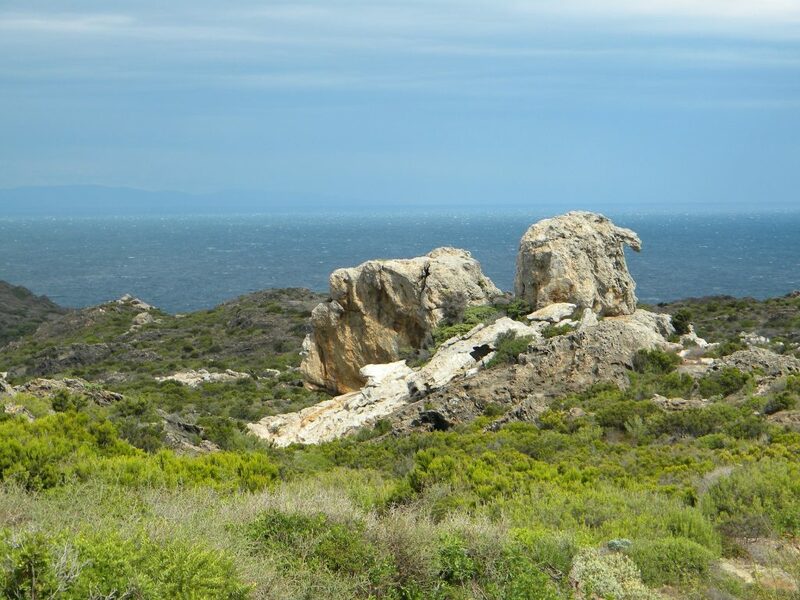 Imagine you are in Cap de Creus, the 1st class culturale nature park. At least that’s how Parc Natural del Cap de Creus is called by holiday makers and locals. The nature reserve is of over 13.000ha large. Definitely you’ll dream away with a large variety of flowers and trees along your way in the sanctuary La Punta del Cap de Creus’ or ‘Norfeu Cape.A nice little detail is that in 1971 ‘La Punta del Cap de Creus’ was the decor for the movie The Light at the Edge of the World. And also Norfeu Cap is a miracle itself with volcanic traces of more than 10 million years ago. A tip from hikers who’ve been there. Bring enough water, something to eat, a cover for the sun and, above all, wear sturdy shoes, because of the rocky substrate. In the flank of Roses is the Venice of the Costa Brava situated. Overwhelm yourself with over 40km of canals around houses in Empuriabrava. 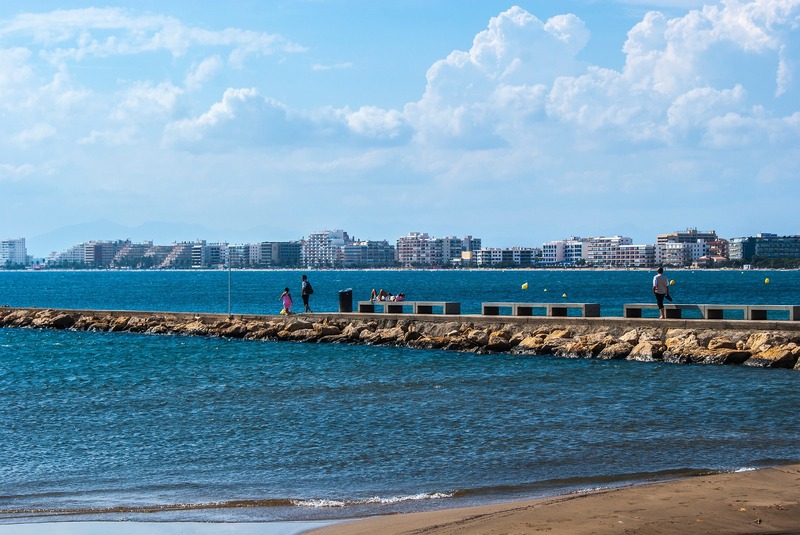 You’ll probably already feel it coming, but you can’t compare Empuriabrava with famous spots of the Costa Brava. The big bars and disco’s aren’t image up here. Empuriabrava has its own personality with its port being 1 of the largest ports in the world. Besides the romantic Venice atmosphere and the historical heritages, Empuriabrava is the place to be for sky diving! Heroes who went up for a jump had brilliant experiences. Not without a reason Empuriabrava is called the great ‘Drop Zone‘ (DZ). 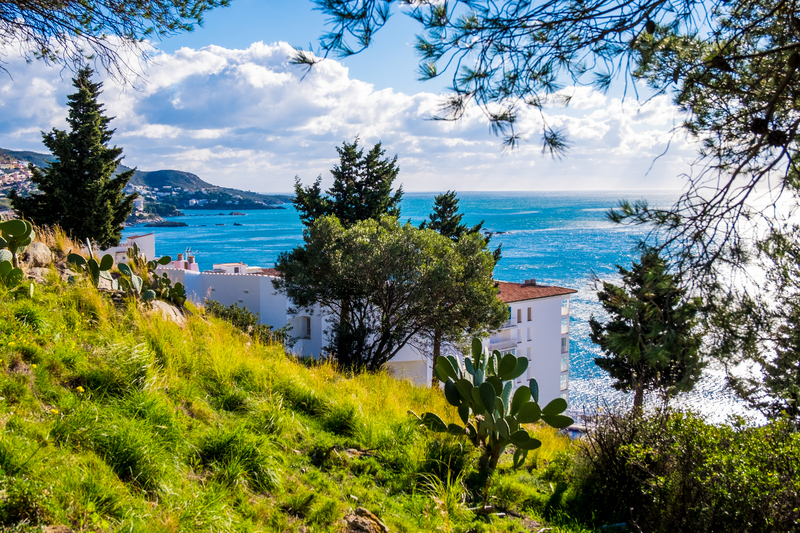 Take your chance when you’re here to have a different point of view on the Costa Brava. Speed devils’ attention! Do you like to press the accelerator pedal hard without a chance you’ll get a fine? With the F1 monster of Karting Roses you’ll definitely have a lot of fun. Are you the driver who rips the kart track with 110km/h? Can you imagine how fast that is on a kart track? Do you first want to get a bit the kart feeling? In the F2 Sports you’ll get feeling on a comfy way, while you speed over the track with 85km/h.Also take the kids with you. 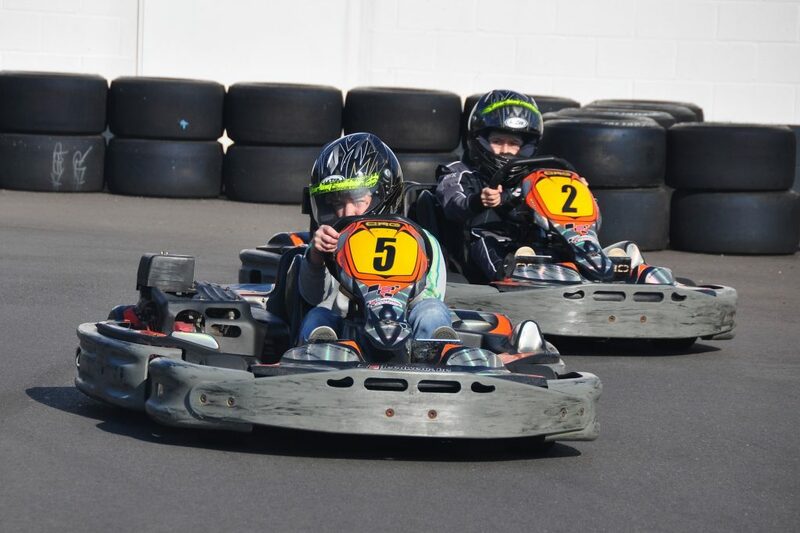 For the kids between 5 and 10 years is a special track and karts. Wauw! The children will be amazed when they grab a cool helmet and get on their own go-kart track in their own kart! The nature of Roses is magnificent! During a lovely walk you enjoy optimal from the gifts of Mother Nature. You’ll be charmed when you walk inland or follow coastal paths. Along the coast you’ll find the lighthouse of Roses and the castle Castillo de Trinitat. Castillo de Trinitat is a 5-pointed star shaped castle with extraordinary remains. There are many more historical and cultural assets of interest, like the Visigothic fortress. Which is assumed to be the most special, hidden and unknown fortress atop a hill with a view over the old part of Roses. 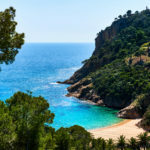 The Albera Range is invitingly accessible from out of Roses and other parts of the Costa Brava. 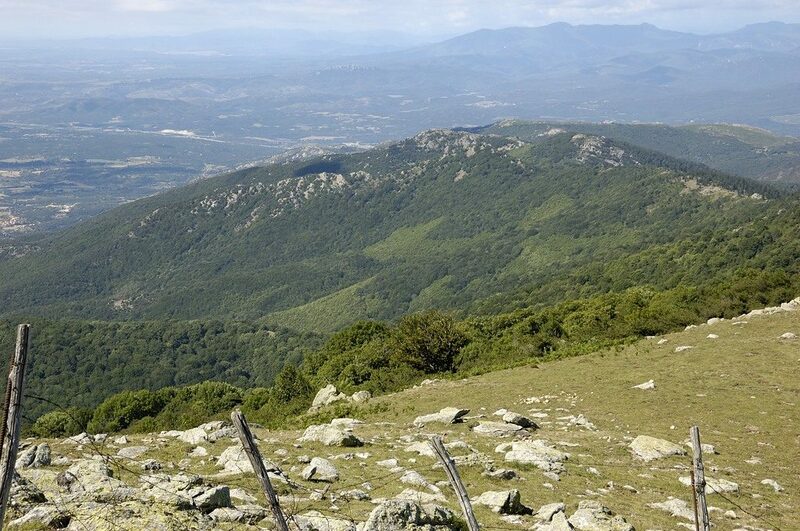 The western part is covered with lots of trees and is characterized by a great diversity of mid-mountain vegetation. Another beautiful part is the east side with its bushy vegetation and Mediterranean undergrowth. In alternation of Albera’s beautiful nature you’ll find hither and thither remains of castles. For example the castles Rocabertí, Requesens and Canadal (14th and 15th century). History experts say the most notable is the 10th century monastery ‘Sant Quirze de Colera’. But the hills of Albera are also rich of heritages of Romanesque art and a bunch of megalithic monuments. Go for the best views of Roses and go to the viewpoint Puig Rom. Here you can enjoy the ultimate panorama over the bay of Roses. And of course you’ll have a breathtaking view over the inland! If you look carefully you’ll also spot Visigothic fortress. This is 1 of the most special kept secrets of Roses with the 7th century remains. Visit the 3 pilgrimage points of the Dalí-triangle and discover the wonderful world of surrealism of Salvador Dalí. It’s that impressive that even tourist come from Barcelona (1.5 till 2 hours single train ride) and say it’s really worth it. The heart of ‘Cap de Creus’, Cadaqués, attracted many painters, writers and other artists. Also Picasso got tempted by Cadaqués. His world famous cubist works, painted in 1910, is a remain of it. Nowadays the house of Salvador Dalí (in Portlligat) is 1 of the main attractions of Cadaqués. The several fisherman’s houses are bit by bit connected. The maze with differences of heights and stair steps are the result of 40 years of work. Expect the unexpected. A small example is the mirror in the bedroom which reflects the sunrise on the bed. Prevent disappointments and book your ticket online. Every guided visittakes in about 40 minutes with maximum 10 persons per group. The guide speaks different languages. During the guide trough the house there’s plenty of time to ask your questions. The tour ends in the astonishing garden with so called ‘free-time’. The center of Cadaqués is in walking distance. Like this you can have your pre enjoyment and afterglow in the area where Dalí and his wife have been living. The castle of Púbol is the eccentric present from Dalí to his wife Gala. The big impressive medieval creation he already promised 30 years ago to build for her. During your visit it’s possible to have a guided tour through the private rooms. No matter what, you’ll relive the time of Dalí and his wife, as the style, furniture and photos take you into his eccentric and a bit crazy world. More touches of love and admiration you’ll sense when you wander around through the Italian garden. The theater museum in Figueres shows more than the fantastic works of Salvador Dalì, according to many enthusiastic visitors. And not only the inside is remarkable phenomenal. The white giant eggs on the roof are visible from miles. Not without a reason this special and unique theater museum is the symbol of the city Figueres. In about 10 years of work on details give you 1 astonishment to another. Not in all museums you’re allowed to make photos. Well, here you can! Of course, without flash. Like lots of visitors you can join this very interesting guided tour. Not only because you know where you’re pointing your cam on. 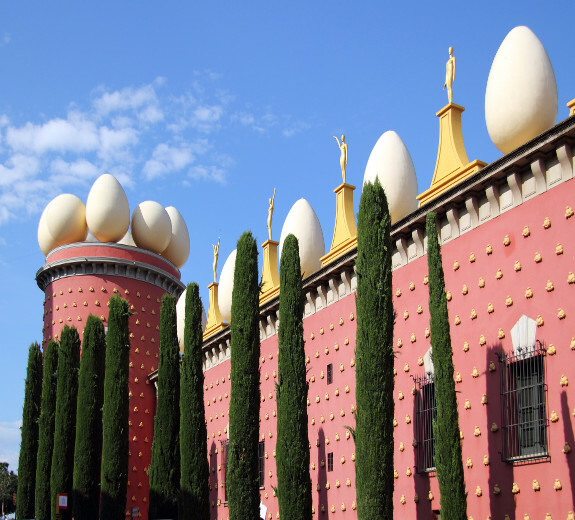 But also because the tour goes through the home town of Dalí to discover and admiremore of his worldin Figueres. Once you’re interested in Roses, it’s very tempted to search for more information. Luckily you don’t need to struggle for a long time, because you already clicked on the link to this TOP 10 of Roses. In a sort of way to say thanks to you, we let you pass directly to the next web page for more details about Roses.